Download this template for an easy-to-use disaster recovery plan! A disaster recovery plan is essential for every business no matter the size. While the name is a little misleading, a disaster recovery plan isn’t only used for hurricanes and tornadoes. It’s also extremely handy for devastating security breaches like Ransomware. What Is Included in the Disaster Recovery Plan Template? 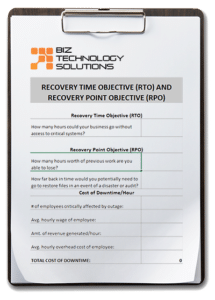 Downtime calculator with recovery time objective and recovery point objective. Download your free disaster recovery plan template and you’ll also get a free disaster recovery readiness assessment. 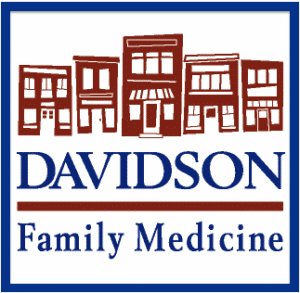 Our DR experts will sit with you to discuss your current strategy and create a plan of action.